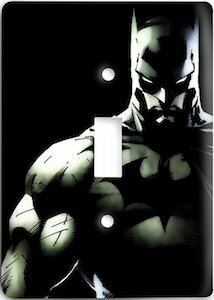 Switchplates for the lights are often plain and boring but if you like Batman then this switchplate is what you want. The black switch plate shows Batman on it and his muscles really pop in the bit of light you see on the switch cover. Just screw this light switch cover to the wall and soon you can control the light in Batman style all thanks to two little screws that hold it in place. The Batman light switch cover is made from metal so you know it will last and look amazing. 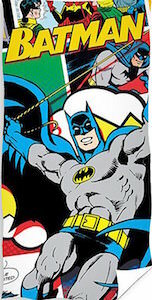 Now just find the perfect spot for the Batman switch cover and that could be your living room or your man cave.